The Scribes Men’s Team is a leading example of what is possible when you combine decent rugby skills with a good attitude. Featuring a mix of hard working and hard drinking rugby players, we’re sure we can find a spot for you, no matter your background or experience level. Contact us by email, or come visit us during a team training session. Starting in September, training sessions on Monday and Wednesday evenings take place at the Trout Lake Community Centre between 6:30pm-8:00pm. 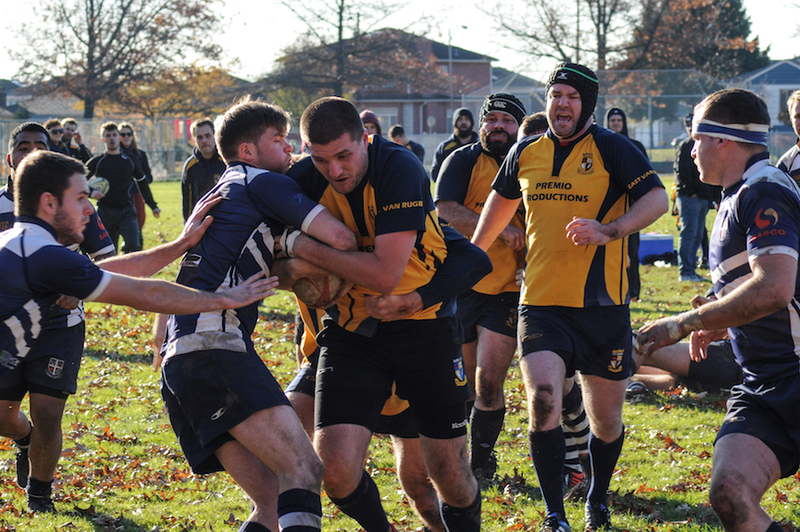 Scribes Men participate in the BC Rugby and Vancouver Rugby Union Lower Mainland Division 2 competitions. The season runs from September through December and February through April. We meet at the Legion on Commercial Drive for refreshments after Wednesday evening training sessions. Following home fixtures, the club hosts their opponents at the Scribes Rugby Bar above the Legion.